to cook for the week. snacks that you want to buy. I have my list divided into two sides. I have a room temperature side and a cold side. 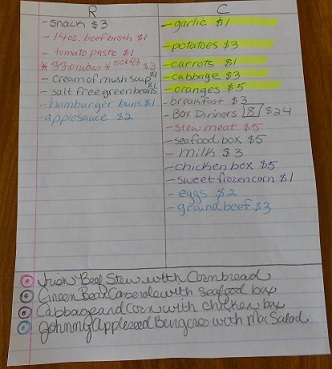 The fruits and vegetables are highlighted in yellow, so I remember to get them first. forget to write a price beside each item, so you can stick to your budget.